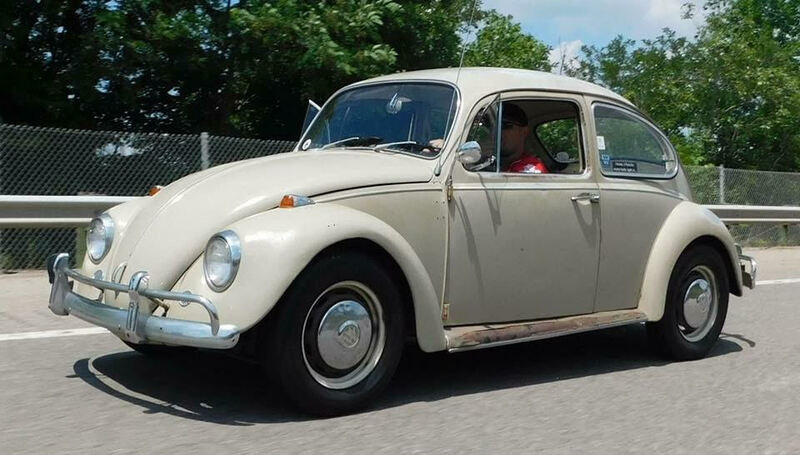 Zac’s L620 Savanna Beige ’67 Beetle is an honest example of brilliant design and simplicity. 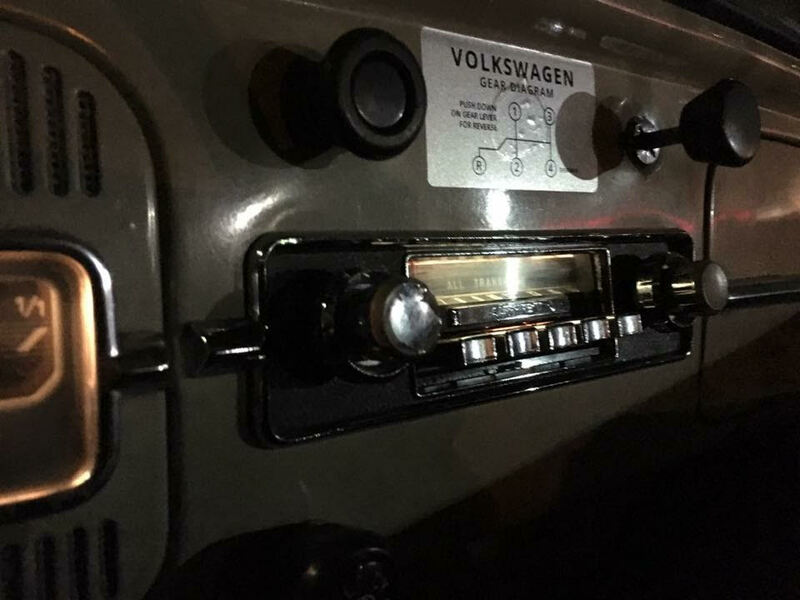 At 50 years old, it’s still doing what VW of old had intended it to do as his daily driver. Thanks for sharing your story with us, Zac! I’ve been saying for years that I wanted another L620 ‘67. I owned one once, about 18 years ago. 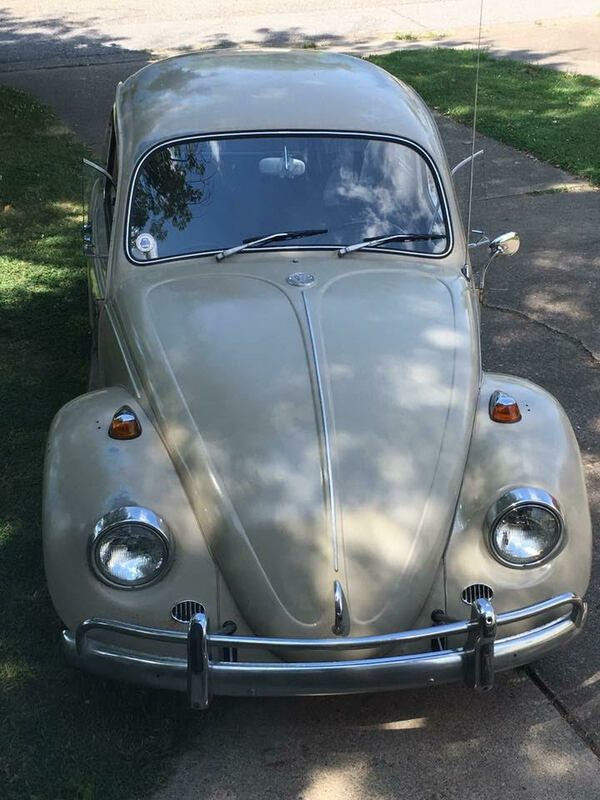 As I typically do though, I sold it in favor of some other beetle which has long since been sold. I purchased my car on February 19th of this year. 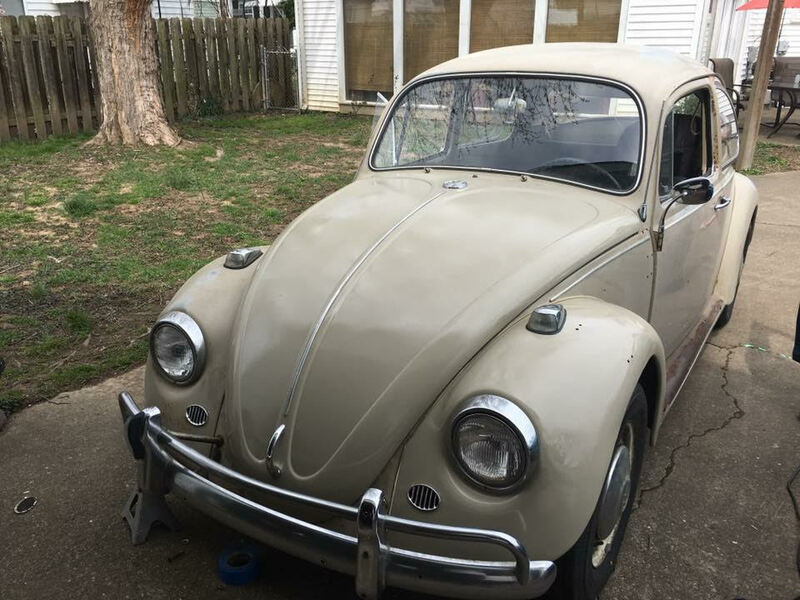 I had known about it more than a year or so prior, but passed on it in favor of a road ready savanna beige ‘67 since I had no garage at the time to get it roadworthy. Not that I regretted the purchase of the other car(who’s body was a little rough), but I still wanted the one I was originally after. 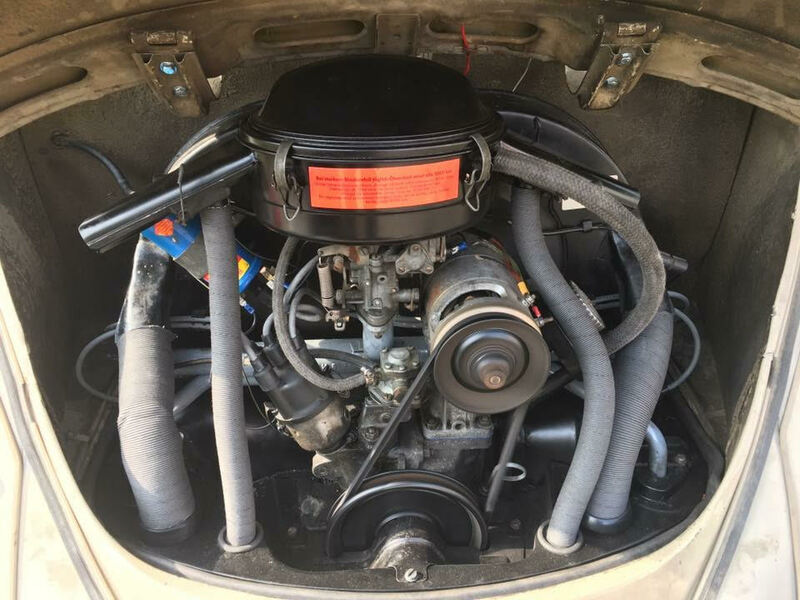 About February 12th or 13th, I got a text from my friend Brad with the link to the Samba listing of the car. I’m friends with the seller, so I immediately sent him a text expressing how I still wanted his car. His reply was, “buy it!”, but I’m married with two kids who had only four months prior purchased our first home, so I had to convince my wife that I was making a good decision. Surprisingly, I was able to talk her into it and a week later the ‘67 was in my garage. The deal was that when I got the “new” car ready for daily driving, I was to sell the other car, so that’s what I did. 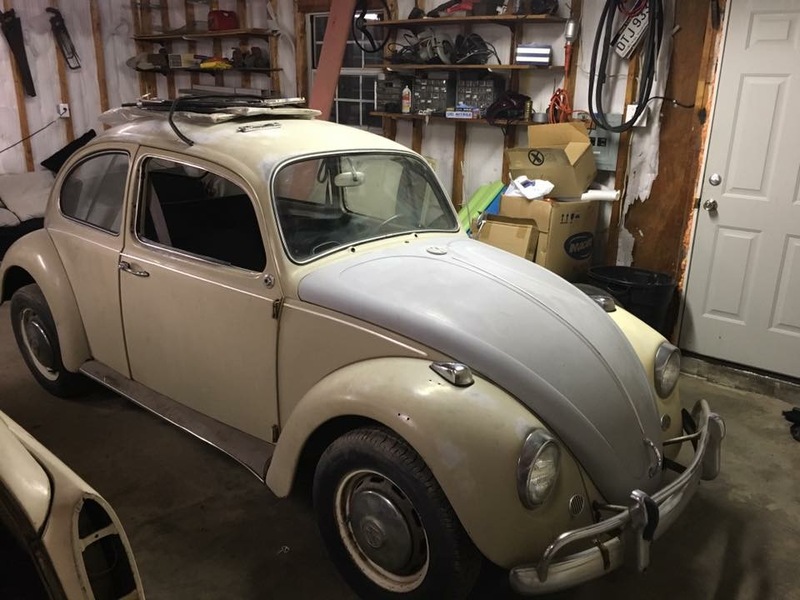 I had vacation planned for a week in March and I spent a lot of that week in the garage, getting acquainted with my new to me Beetle. I was a bit rushed though, as I had struck a deal to sell the previous car before the new one was ready. The idea was to get the new car ready in a week, while still driving the previous car, and seamlessly transition to the new one. As is generally the case though, things didn’t go as planned. The car did run, but that was about it. The doors were in pieces, the wiring was a mess, the wiper motor was incorrect and not even in the car, the headlight switch was wired up, laying in the trunk and broken, it had a faceplate for the radio, but no radio, door panels for the front were missing, rear panels weren’t installed, three flat, dry rotted tires, no brakes, the list went on and on. 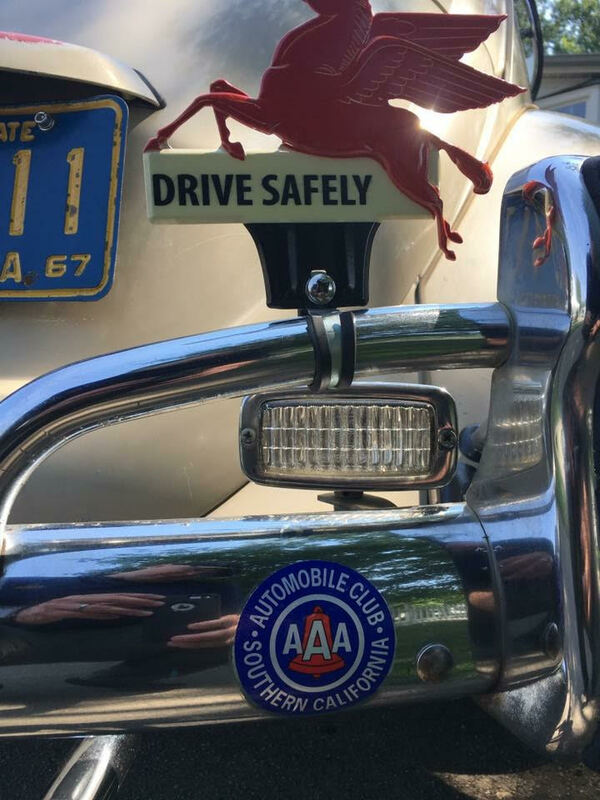 So I got to work, replaced the brakes all around, tracked down a ‘67 wiper assembly, a Sapphire V radio that worked, and I even had a spare headlight switch, so that was also fixed. A friend of mine has a shop, so I got some new tires. I needed seatbelts for the rear since my two kids would be back there, installed them. Vacuumed the car out, replaced the rubber floor mats, removed all the add on old man accessories, put the doors together, installed some pop out rear windows I had laying around, tracked down the ‘67 seat belts I needed for the front, installed them, replaced the transmission mounts, replaced the engine compartment seals, new trunk seal, door seals, deck lid seal, bumper bracket and over rider support seals, swapped out the steering wheel in favor of a spare I had that was in better shape, installed the engine and it was ready for it’s first drive. It ran great, but would not idle. It didn’t have the correct carb, so I needed to track down a 30 PICT-1. Luckily, my family is into VWs as well and my stepdad had one. I had it rebuilt by the local VW guru, installed it, and it purred like a kitten. Now the fun begins. So after getting the car ready to go, I head the the WV Department of Motor Vehicles to get the title transferred into my name. 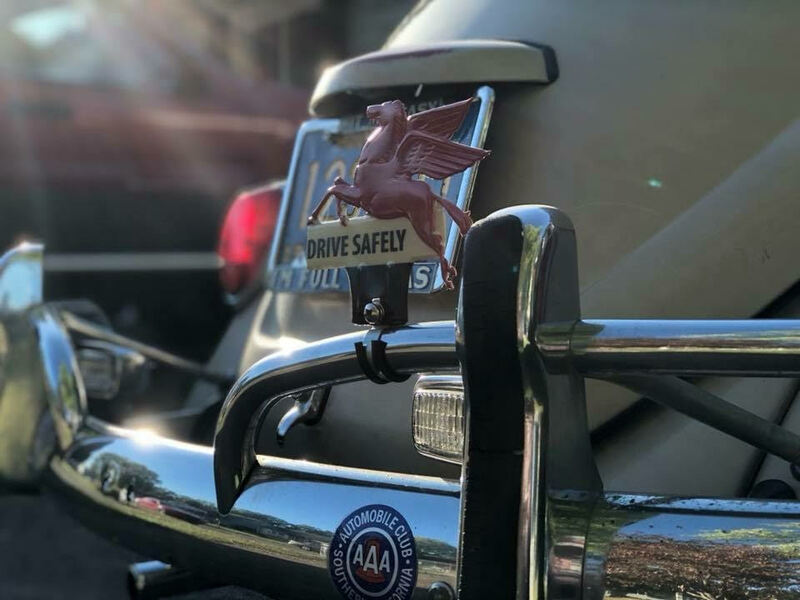 The car was never titled to the previous owner, it was titled to a gentleman who had passed away whose son had signed the title and wrote beside his name “heir.” I was a bit nervous when I handed over the paperwork, but everything went smoothly. Or so I thought. A little over a week later, I received a letter from the DMV stating that they needed a copy of the death certificate and a form filled out stating that the car was transferred to the deceased gentleman’s son. 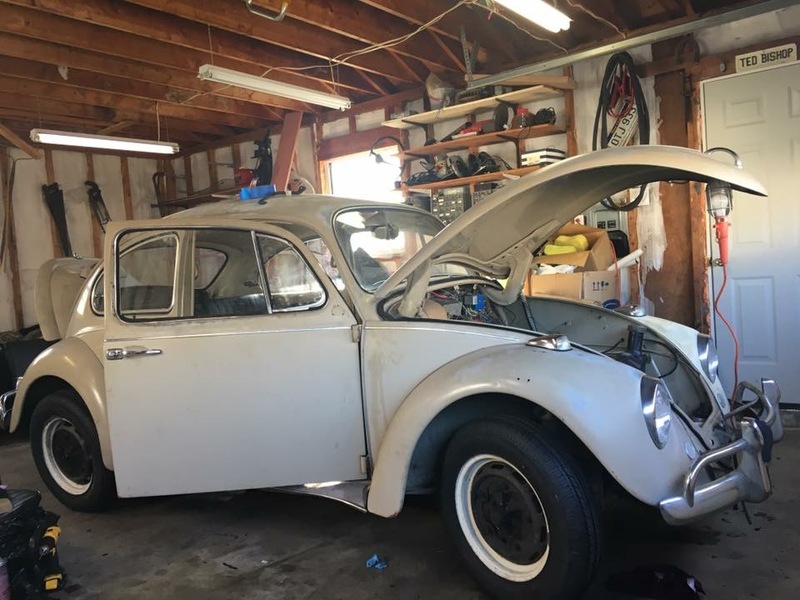 That ended up taking quite awhile and after about two months, I was officially the owner of a very solid, rust free Southern California ‘67 Beetle. I don’t know of lot of history on the car really. I know it belonged to an elderly gentleman in California who gave it to his grandson. The grandson began disassembling the car, painted the hood and drivers side front fender, lost interest, and sold it to the gentleman who passed away, transferring ownership to his son, who sold it to my buddy, who then sold it to me. At some point over the past 50 years, someone decided to drill some holes in the front fenders, the front drivers side quarter panel, and both bumpers. Nothing that can’t be fixed, but annoying nonetheless. It almost seems as though some sort of rack was attached to the car at some point with brackets mounting it to the fenders, bumpers, and the louvers(it has clamped marks back there). I know it spent some time in Michigan and Pennsylvania, prior to finding a home here in West Virginia. At first, I questioned my decision to sell a very reliable car to buy one in pieces, but I’m glad I did. It is the car that I’ve been wanting for years and I’m thankful for everyone, from my wife Stacy and my children who put up with my want for the car, my friend Shawn who sold it to me, my good friend Brad, who sent me the ad and hooked my up with the correct working radio (for free I might add), my buddy Cory for selling me the seatbelts that I needed extremely cheap, my stepdad Richard for the correct carburetor, and Eric and Jay from 1967beetle.com for helping me track down that seat belt part I needed. Without everyone’s help, it’s hard telling where this car might be. Luckily, it’s with me. Hopefully, for many years to come. Thank you Jay. Hopefully it has many more miles left to travel. don’t lose track of those add-on old man accessories. You might need them one day, since while you are a youngster now, you will (hopefully) be old like us one day! Just not soon! Love the low slung rear on our 67 bugs. Keep on buggin’ in your beige buggy! Zac, Great job getting things off and running so quickly! Great looking car! Eric and Jay are definitely the right guys to bounce things off of! The L620 67 was my first car. 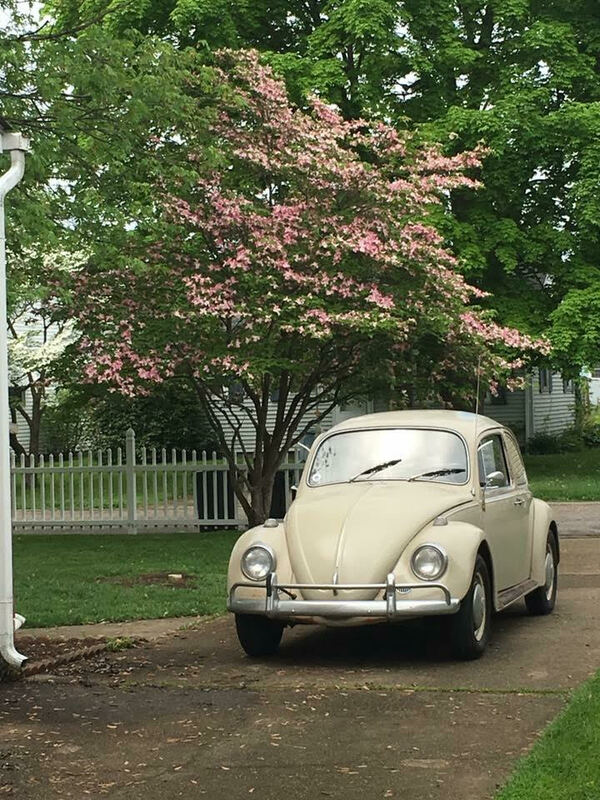 Bought it in 68, drove it for 4 years. Family starting put me in the market for a bigger, more family oriented, vehicle. I love that car. Then, 3 years ago, I was able to pick up a 67 L639 Zenith Blue. It’s a show car with 64000 original miles on it. I just love the look I get and the smiles it puts on peoples faces. What a delightful story. You are a genius to get your Bug all together and running in a week! Congratulations! What is its name? Our Beige 67, ‘Baby”, had something amiss when I last drove her. I told Jay that she was shuddering slightly. I suggested some things that I thought might be her problem. The VW buddies smirked knowingly at Jay. But when Jay gave her a check up, he found there was a problem: Tie Rod. The buddies were right. But in my defense, I’d never driven a VW suffering with a bad tie rod in all my VW years. What a great story. So glad that you preserved another great 67! Great story. 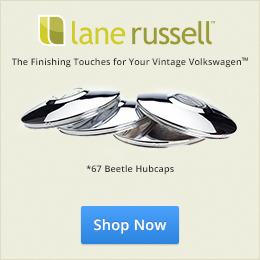 Nice to know there is another 67 Beetle on the road, thanks to you! Hey I have a quick question. Great pic by the way! 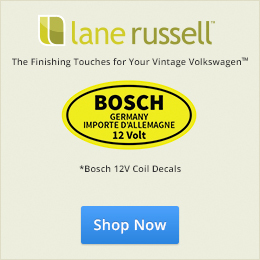 What is the ‘L620’ notation on your VW? Reason for my asking is I have acquired a 67’ Sedan and I’m trying to educate my self on it. Others might have a more complete answer, but I believe L620 is the paint code for 1967 Savanna Beige. Half way down the page on this Samba link you will find all the 1967 colors. ps. lets see your 67 when you get a chance.